FSI Chairman and Cetera President Antoniades says the memo's "ignorance" is "frankly offensive"; FSI also says its fighting FINRA's CARDS plan. 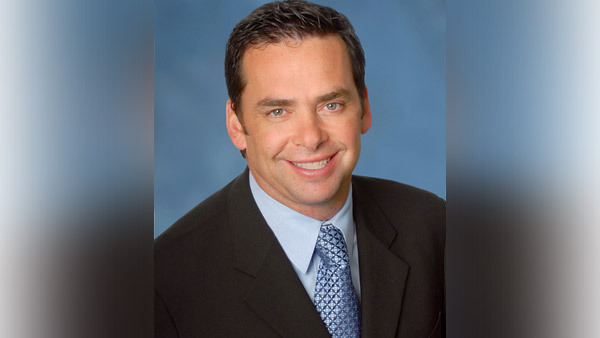 The tone of remarks made by Adam Antoniades, chair of the Financial Services Institute, at the group’s OneVoice 2015 conference did more than hint at the multiple hits the advice business is taking from legislators, regulators and political candidates. The financial services veteran spoke directly to leaked comments from the White House concerning a Department of Labor proposal to amend the definition of fiduciary in retirement plans. The group, which represents independent financial services firms and advisors, recently introduced an expanded program to offer life and disability coverage to its 35,000-plus advisor members. At the state level, the organization successfully pushed back against two proposed securities taxes and is working to secure lower filing fees for investment advisors in Texas. “We’ve earned ourselves a seat at the table and do not take this access for granted,” said Brown, who noted that the group’s operating budget now stands at $8.5 million vs. $3.5 million a few years ago. As for the Financial Industry Regulatory Authority’s proposed plan to collect broker-dealer account data through its Comprehensive Automated Risk Data System, FSI contributed a lengthy comment letter relaying its critical thinking on the matter. “Firms are very concerned that FINRA will use this data to second guess compliance departments, and we warned FINRA against any effort to duplicate firms’ efforts,” said Robin Traxler, FSI’s vice president of regulatory affairs, during a breakout session at OneVoice on Tuesday. “Instead, the data should be used to understand the firms’ data and to better target [FINRA] exams and sweeps, so firms can then use the information,” Traxler explained. FSI members also requested that the timeline for CARDS’ rollout and implementation be expanded to 30 months. The CARDS proposal is still a work in progress, so “we continue to influence the process and are still very much alive when we have the chance to interject our opinion,” Moore added. The group also is pushing for a 15-day period for firms to respond to FINRA regarding data errors, instead of seven. Overall, FSI has estimated that the average firm may need to spend $250,000 to $1 million to implement the system and more than $100,000 to maintain it. A session on elder financial abuse highlighted legislation proposed on Jan. 14 by Missouri Secretary of State Jason Kander. It would give advisors the right to tell family members about questionable requests and transactions and to put a 10-day halt on disbursements. “The [advisor's] firm must tell the Securities Division within certain timeframes, and the broker-dealer gets civil immunity regarding the disbursement,” said Andrew Hartnett, Missouri’s commissioner of securities, on Tuesday. Overall, when deciding whether to stop one trade or freeze an entire account when fraud is suspected, Reif says do “what makes sense” in order to mitigate downside risk and limit exposure. Large organizations like Wells Fargo Advisors (WFC), for instance, have procedures in place and a point person in the compliance department to call, according to Ronald Long, the group’s director of regulatory affairs and elder client initiatives. — Check out Andy Friedman: 7 Dates That Will Force Congress to Act on ThinkAdvisor.